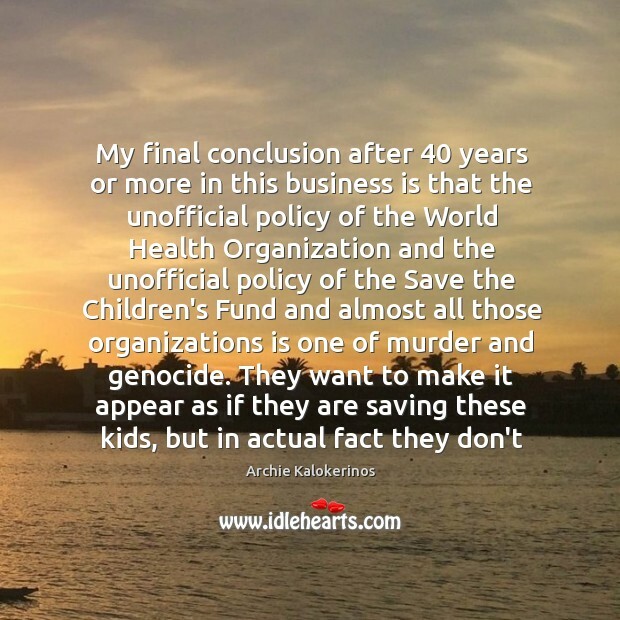 Enjoy the best inspirational, motivational, positive, funny and famous quotes by Archie Kalokerinos. Use words and picture quotations to push forward and inspire you keep going in life! 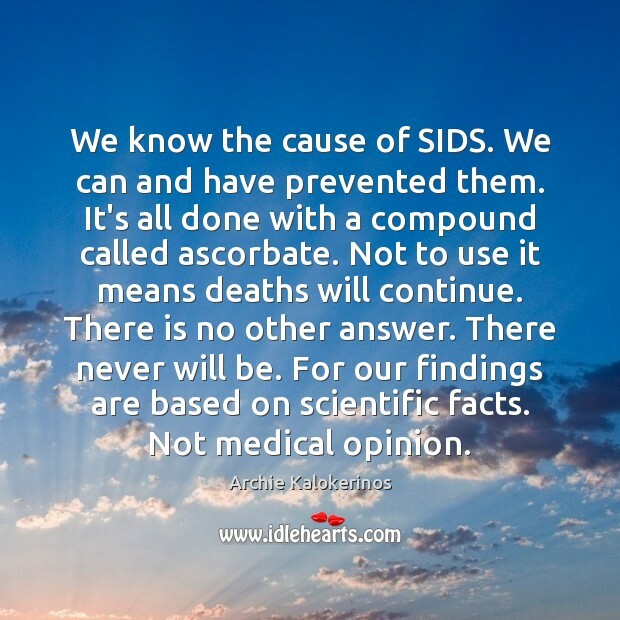 We know the cause of SIDS. We can and have prevented them. It's all done with a compound called ascorbate. Not to use it means deaths will continue. There is no other answer. There never will be. For our findings are based on scientific facts. Not medical opinion. 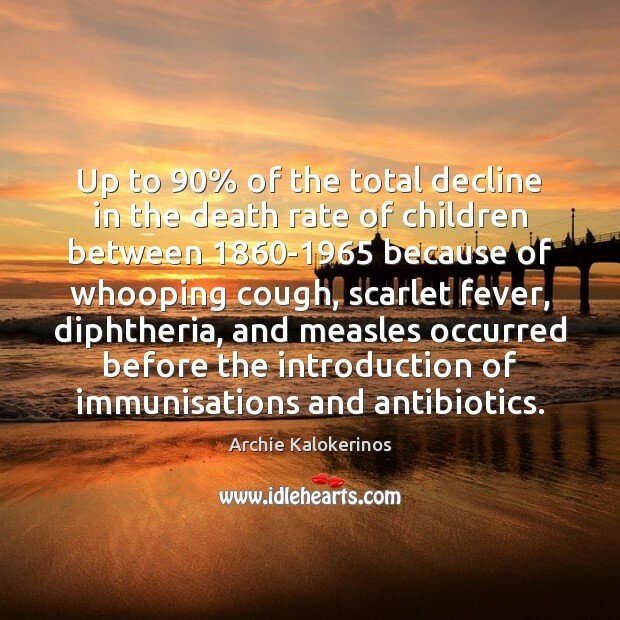 Up to 90% of the total decline in the death rate of children between 1860-1965 because of whooping cough, scarlet fever, diphtheria, and measles occurred before the introduction of immunisations and antibiotics. 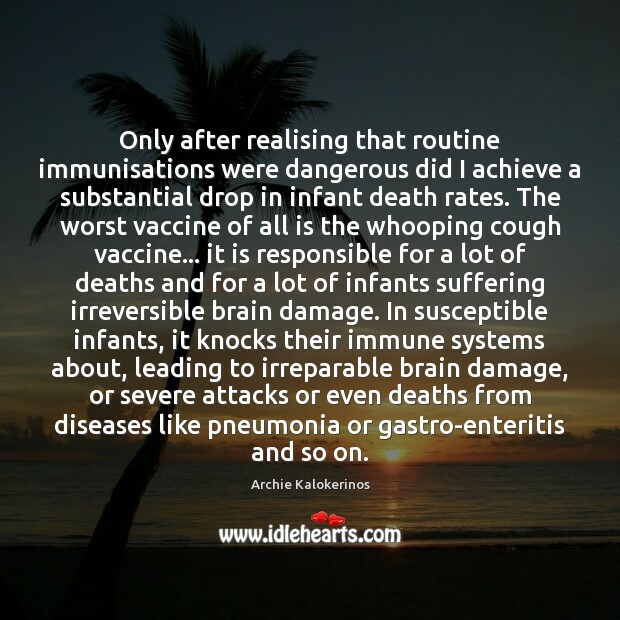 Only after realising that routine immunisations were dangerous did I achieve a substantial drop in infant death rates. 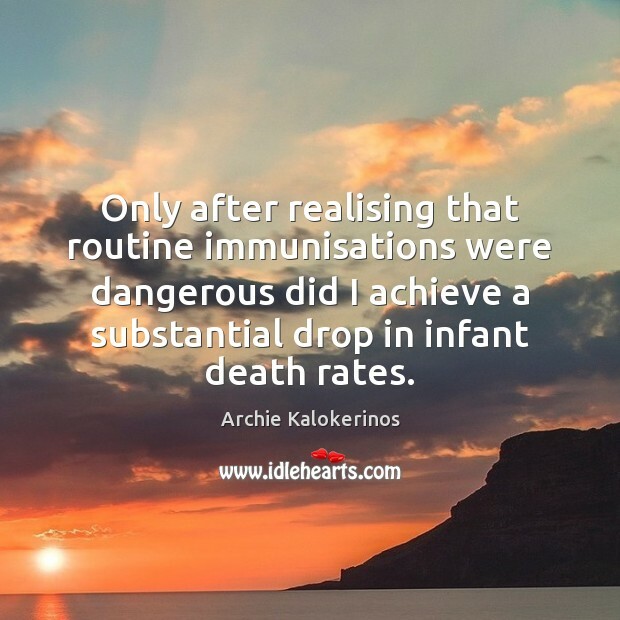 Only after realising that routine immunisations were dangerous did I achieve a substantial drop in infant death rates. The worst vaccine of all is the whooping cough vaccine... it is responsible for a lot of deaths and for a lot of infants suffering irreversible brain damage. In susceptible infants, it knocks their immune systems about, leading to irreparable brain damage, or severe attacks or even deaths from diseases like pneumonia or gastro-enteritis and so on. 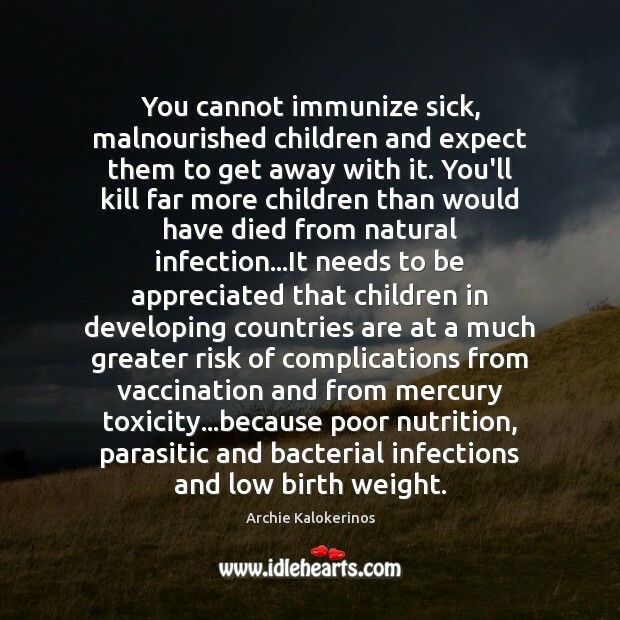 You cannot immunize sick, malnourished children and expect them to get away with it. You'll kill far more children than would have died from natural infection...It needs to be appreciated that children in developing countries are at a much greater risk of complications from vaccination and from mercury toxicity...because poor nutrition, parasitic and bacterial infections and low birth weight. 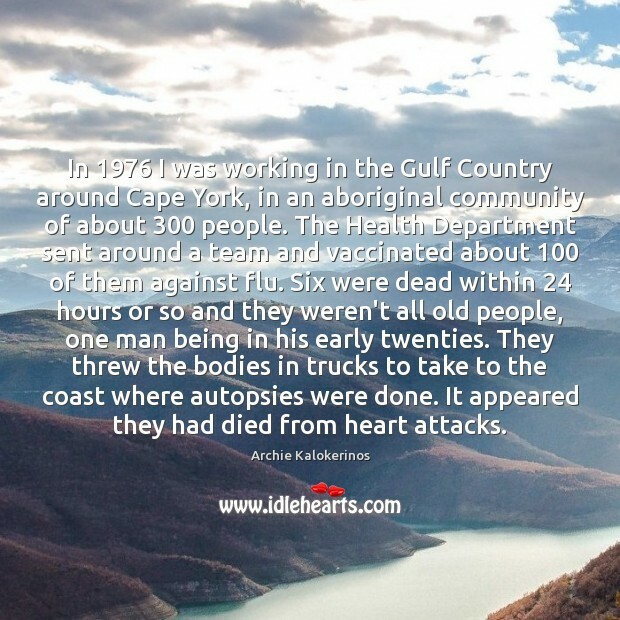 In 1976 I was working in the Gulf Country around Cape York, in an aboriginal community of about 300 people. The Health Department sent around a team and vaccinated about 100 of them against flu. Six were dead within 24 hours or so and they weren't all old people, one man being in his early twenties. They threw the bodies in trucks to take to the coast where autopsies were done. It appeared they had died from heart attacks.